If you’re proactive enough about your health to take a supplement, make sure you aren’t accidentally sabotaging yourself with a bad one. For instance, you could replace your fish oil (which almost never has the mercury, PCBs, heavy metals, or other toxins filtered out) with clean water harvested krill oil. Unlike fish oil, krill oil is antioxidant rich—it doesn’t need added preservatives to give it a shelf life (it also helps that the more environmentally friendly harvesting methods don’t contribute to spoilage like others!). If you want more of a visual, think back on how ocean contamination works: it goes up the food chain! Krill are pretty close to the bottom, and are naturally low in unhealthy contaminants. Fish start to get quite higher up—the bigger the fish, the more contaminants will have built up as big fish eat smaller fish over and over again, all the way to your dinner plate (or supplement). If you like a yummy fish dinner, stick with smaller or fresh water fish (wild salmon is one of the best options). If you’re going to take an omega-3 supplement everyday, make sure it’s not slowly building up those toxins in you! Switch from fish oil to krill oil and reap the benefits! 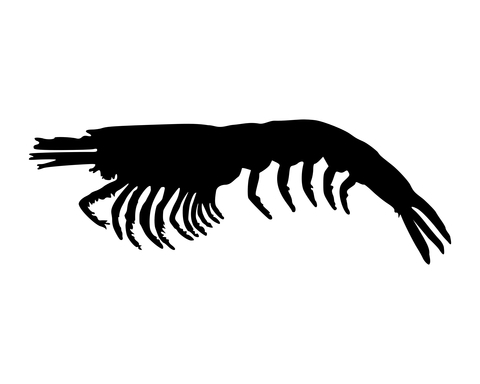 If you haven’t switched yet, order a bottle of our Deep Ocean Krill Oil today! Next post: Too Much Folic Acid?